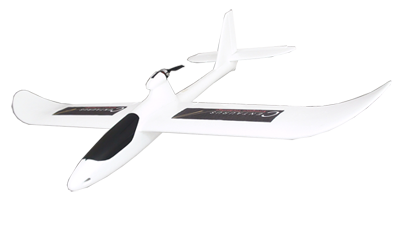 Centaurus Technology provides unmanned aerial vehicles of various airborn platforms for aerial surveilance, photography, reconnaissance, border patrol, search and rescue and more. Centaurus Technology develops educational and research based products in aerospace and mechatronics fields involving real-time control system implementation aircraft design and autonomous system development. Centaurus Technology Sdn Bhd is an aeronautics and autonomous technology provider and consultant company based in Kuala Lumpur, Malaysia. Till date, we have developed products and services such as UAVs (Unmanned Aerial Vehicles), flight simulators and flight simulator training, AI robots and holographic image projection. Our present focus is in the civil, military and academic sectors. Civil and Military Sector: Civil applications for our products would include advertising, agriculture, farm management, photography, news coverage, forestry, oil & gas, land surveying, mapping, building & construction progress monitoring and management drainage, etc. Products for the civil sector would include aerial photography and videography, airborne advertising, search and rescue and aerial security surveillance that can be operated autonomously. As for the military sector we have unmanned autonomous products for border patrol, reconnaissance missions, aerial surveillance patrol, helicopters, blimps, combat and scout vehicle. Academic Sector: The Centaurus team has a passion to equip educational institutions with the tools to empower the future generations with practical knowledge and understanding in engineering. Namely in the electrical engineering, aeronautical engineering and mechatronics faculties. Recognition: Gold Medal, at the Innovation and Technology Exhibition 2009 or ITEX. We strive to meet the needs of all of our customers and we will do our best to make sure your experience with us is a pleasant one. Please feel free to write to us with any comments or inquiries you have, using the form below. Centaurus Aerospace Technology Sdn Bhd. Centaurus Technology participated in the SMIDEX 2009 event held at the Kuala Lumpur Convention Center. Two exhibit booths were setup showcasing our products and services. MATRADE featured our products in the second Quarter, 2009 of their "What's New From Malaysia" magazine. Feel free to contact us with any questions, comments, or order or click here for a recommendation specific to your needs. © 2010 Centaurus Technology Sdn Bhd. All Right Reserved.